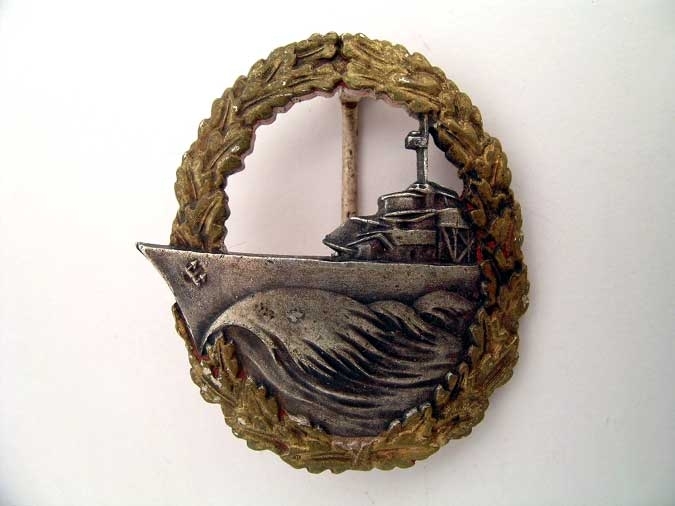 Post WWII, Federal Republic of Germany; Official de-nazified "1957" issue for Veteran?s wear (as WWII badges were not allowed for wear) naval Destroyer Badge. Made in 1960's, in silvered/gilded tombac. 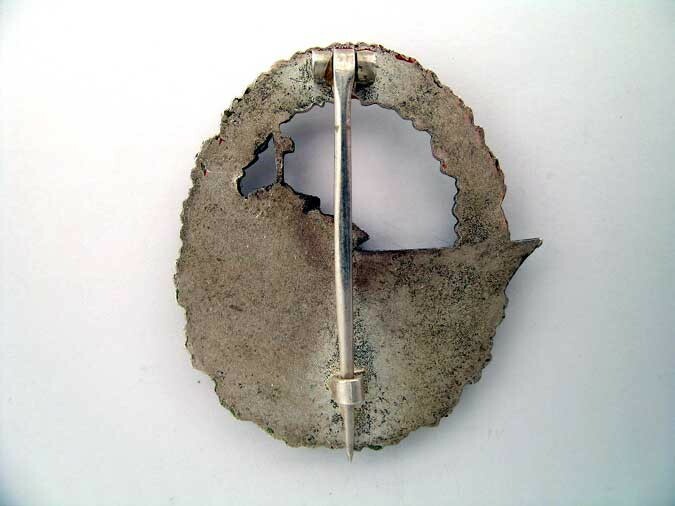 These badges were awarded only to the German Veterans entitled to this badge during the War. Production of these badges ceased in 1986. In very fine condition.